Bowflex SelectTech 5.1 Adjustable Bench - Save Over 30% Today! 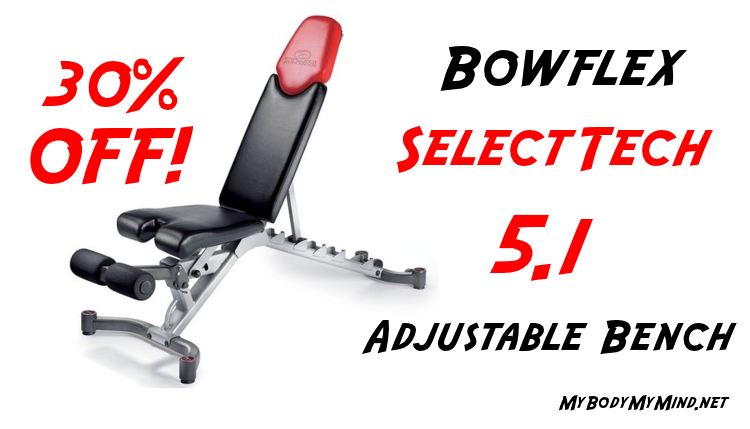 Take A Look At The Bowflex SelectTech 5.1 Adjustable Bench! Every good home gym needs a great foundation, Right? Well the Bowflex SelectTech 5.1 Adjustable Bench provides just that! A few months back I began using the Bowflex SelectTech Dumbbells when my brother ordered the SelectTech 552’s. With his purchase he also bought the Bowflex SelectTech 5.1 Adjustable Bench. What I was most impressed with was the quality of this bench for the price. I have bought a few weight benches in the past for far more money. However the quality of those benches falls short to that of the Bowflex 5.1 Adjustable Bench. I weigh in at around 250 pounds, and my brother at around 265. We both found The Bowflex SelectTech 5.1 Adjustable Bench to be very sturdy, and that is with 80 to 150 pounds of dumbbells in hand! For as sturdy and stable as this bench has proven to be, it does not take up all that much space. Which is a nice feature for anyone like my brother who has a some what small apartment. While this bench does not fold up, and requires a dedicated space. It is not one of those huge bulky benches only taking up a space of about 2 1/2 by 4 1/2 feet. Allowing you to turn any space into efficient and effective workout station. There is a lot to like about this free weight dumbbell bench. We have already covered how sturdy it is, and that is in no small part due to the quality of the materials that it is made with. It also adjusts to six different positions from a 17 degree decline to 90 degree incline. In addition this bench is very easy to adjust from incline to flat to decline. This makes moving from one workout to another very quick and easy. Another great thing is that the seat has two positions and adjusts from flat to slightly angled upwards for the decline position. It also includes a removable leg hold down brace for added support in the decline position. The Bowflex SelectTech 5.1 Adjustable Bench is a wide bench. My whole back fits on the bench which makes it very comfortable and helps me maintain a stable position for a great, safe workout. There is one more thing I would like to mention, the SelectTech 5.1 Adjustable Bench is easy to assemble, it took my brother about 30 minutes to put it together. There are a couple of things that I found to be of slight issue with the Bowflex SelectTech 5.1 Adjustable Bench. First is that there is a gap on the bench where it bends which can feel a little strange. The bench is well padded, so this is something that is more about getting to use to the feel, than a real problem. Secondly is the roller wheels on the bench. They are not in the best place and you have to basically stand the bench on end to use them. No big deal for me, but it could be a problem for some. Of course you can always just slide the bench around to where you need it. As you can see there really is not much I did not like about this bench. Yes there are better benches out there. However you really do get a lot of bench for your money with the Bowflex SelectTech 5.1 Adjustable Bench. Paired with either the Bowflex SelectTech 552 or the Bowflex SelectTech 1090 Adjustable Dumbbells. The Bowflex SelectTech 5.1 Adjustable Bench makes for the perfect foundation for your New Home Gym! As I mentioned this bench would be well worth the original price of $249. However I searched around a few sites to find you the best price, and I found it on Amazon for over 30% cheaper than the other vendors I checked. Currently Amazon has the Bowflex SelectTech 5.1 Adjustable Bench being offered for $169.00, Saving You $80! I can tell you this, you would have to search long and hard to find a better retail price on this bench. Check out this 4 Minute Dumbbell Workout to get you started! If you are in the market for a new workout bench, I highly recommend the Bowflex SelectTech 5.1 Adjustable Bench. It is extremely versatile, allowing you to preform over 30 different exercises! Also Bowflex stands behind their products and they back this bench with a 30-Year warranty on the frame, and a one year warranty on the upholstery. You don’t often find this kind of “Bang For Your Buck”, so don’t miss out, Order Yours Now! 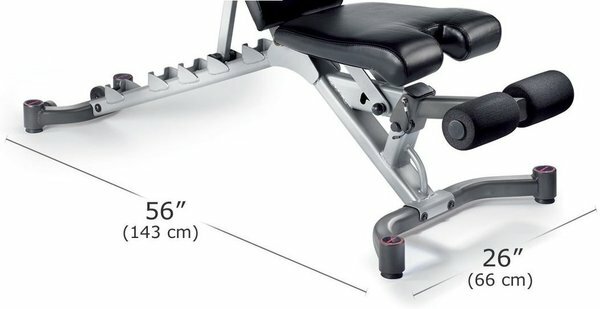 If you have any questions or comments about the Bowflex SelectTech 5.1 Adjustable Bench, please feel free to leave them in the comment area below. 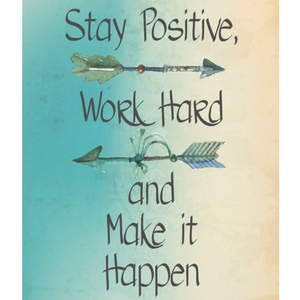 I would love to hear from you and I will get back to you as soon as possible. Previous Post Previous post: Bowflex SelectTech 1090 Adjustable Dumbbells – Get 30% OFF Today! Glad to learn about the bowflex bench! I am definitely going to share your review with my husband, Marty Gallagher. He is a prolific health and fitness writer and a world champion powerlifter. I really like the design of the bench and its adjustability in both the seat and the back. The absence of a pin would make transitioning the bench to multiple positions much easier. I am honored to have you on the my site, I have read a few of your husband, Marty Gallagher’s, articles in Men’s Fitness magazine. Please pass my regards. 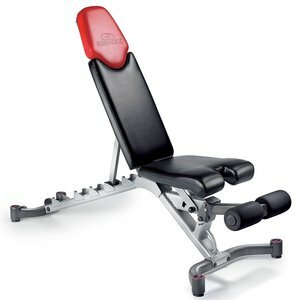 When I first saw the Bowflex SelectTech 5.1 Adjustable Bench I noticed that there was no pin. At first I thought it was a bit off, but as soon as I started to check it out closer that changed. The lack of the positioning pin made moving from one exercise to another super simple. At first it might seem a little shaky, but as soon as you lean back you can feel just how stable the bench is. At no point gave I felt unsafe or out of position with this system. You bring up another great feature of this bench. The adjustable seat is great for doing decline exercises. It makes for a very comfortable user experience! Stacy i would love to hear what your husband has to say, please let me know when you have shown him my review. Hi Brendon, your review came in handy. I am thinking of getting this as a gift for my brother-in-law as his wedding gift to come. On the part regarding the roller wheels, does it mean the bench has to be vertically upright in order to utilize the wheels to move it around? While you do not have to have the bench completely vertical to benefit from the wheels. You do have to lift it pretty high up due to the rubber feet on the legs. The rubber feet are great for stability on smooth surfaced flooring. However they do hamper the use of the roller wheels. The bench weighs around 63 pounds, so it can be pushed and pulled into the needed position for your workout. But it would have been nice to see better positioning of the rollers. By no means do i think this takes away from what a great platform the Bowflex SelectTech 5.1 Adjustable Bench is. It just could have been a touch more user friendly in the design of the rollers. Jude, I think your brother in law would be completely happy to receive the Bowflex SelectTech 5.1 Adjustable Bench as a wedding gift, and I bet his better half will love it to! Thanks for stopping by Jude, let me know if you follow through on your idea, I would love to hear how it goes! This is some great information I actually use this very bench in my daily workouts. The bench is sturdy and very well made and it holds up to the weight. I mean I am 237 lbs and have never had any issues with it. The Selecttech 5.1 adjustable bench was a gift from my wife along with the 1090 Bowflex dumbbells. I really do believe this is the best bench that I have ever used for my exercises and my wife and teenage son use them everyday and we love both of these pieces of equipment. I recommend them to any one who is serious about their workouts. I agree with you, I have become a huge fan of the Bowflex SelectTech line up all the way around. You also bring up another great point. The Bowflex SelectTech 5.1 Adjustable Bench is great for everyone. My brothers wife often gets in on workouts with us. She is 5’2″ and she has no problem reaching the floor. Conversely my brother is 6’3″ and this bench suits him perfectly as well. Jesus Thanks for sharing your thoughts on the Bowflex SelectTech equipment you have been using. Hey I appreciate the review. My brother works out at the house and we always seem to have a problem with the bench, either completely breaking or not working properly. I’ll have to keep this bench in mind. I have to tell you my brother and I have become huge fans of the Bowflex SelectTech 5.1 adjustable bench. For the price i do not think there is a better option. Even if this was bench was more expensive I think it would be a great buy. It is very versatile allowing you to preform more thanm 30 different dumbbell exercises. also it is so easy to adjust the bench and keep up the pace of your routine. My brother and i are both good sized guys, and we have not had any issues with this bench at all. as you read in the post, i highly recommend everyone give this some real consideration! thanks for the visit Logan, keep me posted on your decision.